Fastsupport.com is a fully legitimate service but turns out to be a scam when misused by cybercriminals. Usually, it appears as the GoToAssist.exe process. Regularly, it is used for computer fixing over remote servers. If your pc is facing malware problems, IT experts connect to your computer and try to solve issues through a remote server. However, various cybercrooks use this program for their own needs. They urge victims to allow remote connection and once its done, hackers inject malicious programs into the user’s system. The Fastsupport.com/GoToAssist.exe scam is promoted by fake websites. Hackers create such pages which show up in the primary Google Search results. This makes the scam easier to spread. People get tricked because of these sites. Victims are convinced that their computer systems truly does need fixing and this is a great way to achieve it. Nevertheless, these fake sites look very familiar to the original one. Some users might not even notice the difference. Another way to promote Fastsupport.com scam is by spreading various intrusive ads which overload the computer. Such ads promote the fake program and urge people to rely on such “experts” in order to “fix” their computer system’s problems. Numerous adverts might start overfilling the screen and intruding activity. However, many users fall for those adverts and give remote access of their computer system to cybercrooks which are behind such hazardous activity. You put not only your computer system at risk, but also, your personal information might be leaked. Users need to enter personal details to activate the remote program and give access to cybercriminals. Such hackers might steal private details which might lead even to a serious identity theft. Some advice is to stay from Fastsupport.com scam. Try not to mix it with the real legitimate version of the program. If you ever encounter the fake scam online – leave the site immediately and never return. Remember that you are responsible for your computer’s safety. Fake scams such as Fastsupport.com have their own websites. These sites are displayed as fully-legitimate and recommended by IT experts. However, if you entered your personal details and gave permission to your computer system, it is very likely that cybercriminals will try to damage it or steal your private data. Bundled programs might also carry fake scams with themselves. Avoid such hazardous programs by choosing Custom/Advanced and deselecting Quick/Recommend. Carefully scroll and look through all incoming downloads. Opt-out dubious-looking ones. It is a good option to install antivirus protection. Make sure it is always renewed by the newest updates. This program will scan your computer system and look for various threats. Notice, that this program might have added various unwanted components to your browsers. 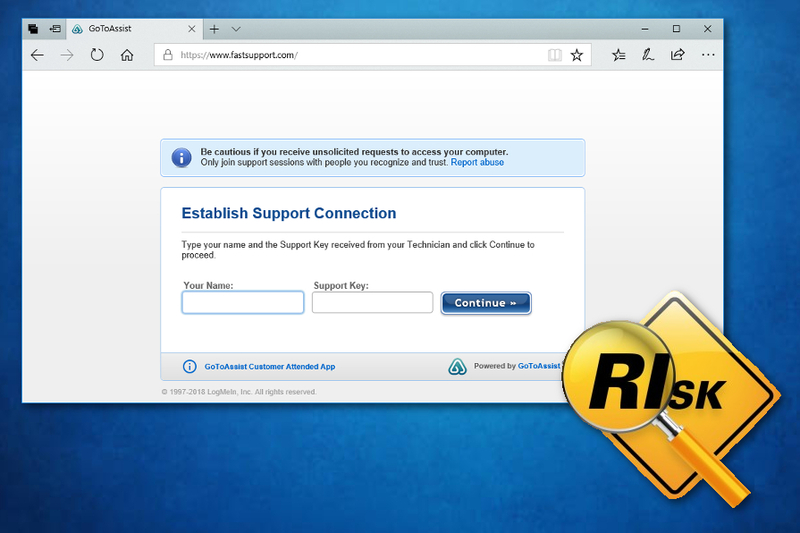 Eliminate all dubious extensions and browser plug-ins from web browsers such as Google Chrome, Mozilla Firefox, Internet Explorer, Microsoft Edge, Safari, Opera. You can also remove Fastsupport.com with the help of anti-malware. This way is faster and requires less effort.